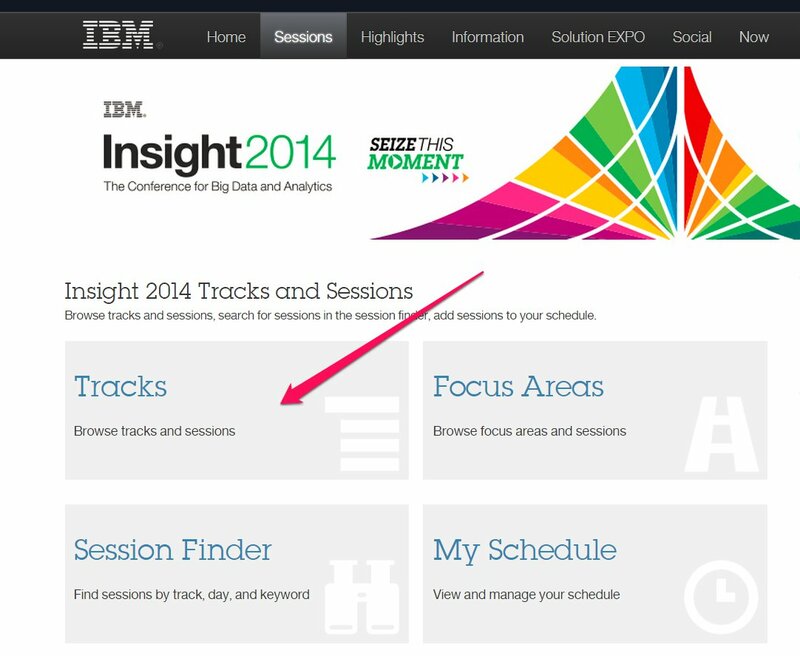 IBM’s Insight conference (the conference formerly known as IOD or Information On Demand) is next week in Las Vegas. It’s a large conference that covers more than just DB2, but it is still DB2 geek heaven. I’ll be there – stop me to chat if you see me, I love to talk tech with anyone. Last year was my first year at IBM Insight – I’ve generally been more of an IDUG gal myself, and IDUG NA is still my favorite conference. But this conference by IBM is still worthwhile. Here are a few tips for navigating Insight to make the most out of your time there. Even if you’re staying at Mandalay Bay, there’s a lot of walking in a day. You’ll minimally have to walk through the casino (fun fact I was surprised by last year – slot machines don’t even take coins any more! 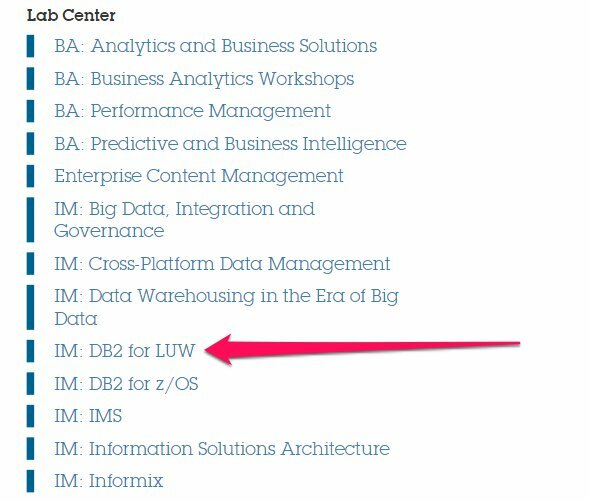 ), and then even within the conference center, there are a vast array of rooms that you may need to go to depending on where they put the DB2 tracks this year. Last year, they seemed to group them in one area upstairs, but I’ve heard in past years they’ve been downstairs, so we’ll see. They did seem to group them together which is nice for the breaks to be able to find folks. Maps of the Mandalay Bay Conference center are here, for anyone looking to study up. Comfortable shoes are an absolute must. I always have to reject my desire to wear whatever cute but questionably comfortable shoes I currently have in my closet, but given how tired my feet get in my Birkenstocks, I’m always happy I’ve stuck with them. I also find a sweater or jacket of some sort a must – I freeze my tail off at most conferences. I actually find the general schedule page helpful when planning my conference to have general ideas of what is when. Certification is available this year at the greatly reduced rate of $30 per test for Information Management tests. No freebies this year, and no more Susan Weaver, who was always the one sitting outside the certification room in past years, but has left IBM. Will be interesting to see how the certification room runs without her. Also disappointing to me – there are literally no new DB2 certification tests out of IBM in the last year, which means I likely won’t be gaining any certifications this year, since I pretty much ran the board last year at this conference. Where’s 10.5 Advanced DBA? Where’s the SQL Procedure Developer for 10.anything? I highly recommend certification – it always makes me study outside of my box and investigate areas I might not think about every day. Sunday, October 26 12:00 p.m. – 6:00 p.m. LAST seating is at 4:00 p.m.
Monday, October 27 10:00 a.m. – 6:00 p.m. LAST seating is at 4:00 p.m.
Tuesday, October 28 10:00 a.m. – 6:00 p.m. LAST seating is at 4:00 p.m.
Wednesday, October 29 10:00 a.m. – 8:00 p.m. LAST seating is at 6:00 p.m.
Thursday, October 30 8:00 a.m. – 4:00 p.m. LAST seating is at 4:00 p.m.
Kevin Spacey is the celebrity keynote this year (8:15 AM on Wednesday). The slick style of some of the keynotes can drive me a bit insane, but last year, I found myself inspired by host Jake Porway, and I’ve heard good things about hearing Kevin Spacey speak in this kind of a setting. The Information Management keynote this year is at 11:30 on Monday, and features a geek celebrity – Grant Imahara from Mythbusters. The number of keynotes and general sessions at this conference can be a bit overwhelming. I try to make the first day’s keynote, the celebrity keynote and the information management keynote. It’s amazing the random places I find inspiration at conferences, and while the keynotes can be one of those, I also sometimes feel like a captive audience for an infomercial. I’m sure I’ll be tweeting about the keynotes/general sessions. Tweeting is one of the fun things about this conference – a community to share and to find new people to follow. The Expo at Insight is a level of salesy-ness beyond the normal conference expo hall. But it’s a place to hang out and run into people, and there are usually a few fun things to see and lots of swag to bring back for the kids. Hey, some of my favorite pens have come from conferences, and I have to use a pen at least once a month or so. Seriously, it is worth a tour around to see what is going on, even if the Expo at Insight is so big that some of the smaller businesses have given up on it in favor of hosting private get-togethers either in suites or off site. The big evening event this year is a concert by No Doubt. While I’m not generally a fan of the level of loud that tends to accompany concerts, I’ll likely go – I can’t miss “Don’t Speak” and “Just a Girl”. In general, take advantage of the networking opportunities – find people you were in sessions with to go up and chat with. This is how you build the network of colleagues that you can turn to for technical advice, for a job, and for friendship. One of the fun spots to visit is always IBM’s bookstore. It’s located in the Bayside Foyer – not sure if it’s right at the bottom of the Escalators like last year, but that was a convienient location. There you can find more DB2 and database and big data and related books that you’ll ever see in one place in your life. There’s quite a schedule of book signings that Susan Visser has laid out on her blog. Susan’s blog also lists a few free giveaways, available in limited quantities at specific times. I could not get the labs to come up in the session search tool – this was the only way I could find them after considerable experimentation. This is the fun part for me – going to see my fellow DBAs speaking and learn from all the awesome sessions that are on display. Once you pass a certain level, conferences provide the best education available – the ability to see what others are doing with the technology, to think about DB2 in different ways, to be inspired to do new things in better ways in your job and your career. I inevitably end up in at least one session that is a very thinly veiled sales pitch. When planning my schedule, I always start with the speakers I know I’ll love, and then fill in around them – Melanie Stopfer, Matt Huras, and Dale McInnis tend to make the very top of my list. I was looking at the schedule this week, and saw a lot of people from outside IBM tend to be paired with IBMers. There are, confusingly enough, two tools for scheduling your sessions in this year. One appears to be new this year, and the other looks a lot like last year’s. Everyone should have been sent a login to the newer one after registering for the conference. I recommend changing your password to something you’ll remember, especially if you plan to use the mobile app. I’ve found the search a bit hit or miss with it – once searching for ‘BLU’ returned no results, repeatedly over the course of several hours, and there are tons of session on BLU. If it is not working for you, come back later, and maybe it will be working then. I hope they resolve whatever back end issues are causing that before the conference starts. There is again a mobile app this year to help you plan and view your schedule. It’s the IBM Event Connect Center app on the Apple or Android app stores. It appears to also offer social networking features, so feel free to connect with me there. I wonder how many will be updating statuses there versus on Twitter? It looks similar to the newer scheduling tool. I’ve found that at this conference, the best discussions are generally over dinners with groups of friends, or during the breaks between sessions. There are snack breaks most days where everyone stands around talking, and that’s one of my favorite parts.